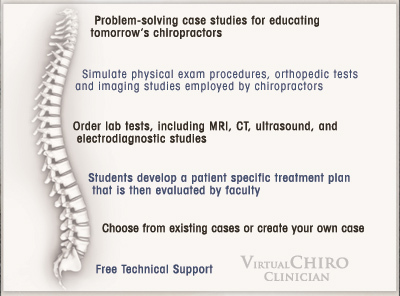 VirtualChiro Clinician provides students with a set of clinical cases, allowing them to perform an interview and virtual physical examination, order and interpret lab tests, sort through competing diagnoses, and develop medical problem lists. 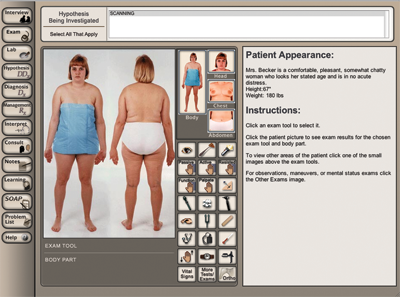 The case content has been developed by chiropractors with optimal chiropractic instruction in mind. 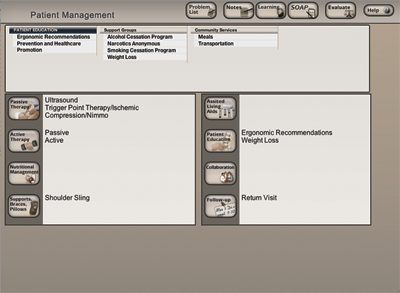 Students may then choose specific chiropractic interventions to offer the patient. 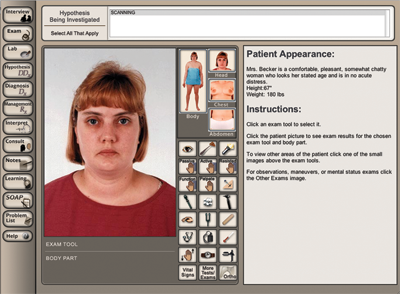 Student progress is recorded, and VirtualChiro Clinician includes sophisticated scoring tools that instructors can use to measure and improve their students’ clinical reasoning skills.